Our garage door repair company also has extensive expertise in residential gate repair. We repair, replace and install a wide range of gate designs to suit your particular property and requirements. There are many types of gate repairs that owners will be tempted to handle themselves. Some processes however will involve processes that are either too dangerous or will require higher levels of repair expertise. Here we take a look at some of the most demanding gate maintenance and repair processes that novices should avoid. Whether you have a gate with limited metal parts or one that incorporates a lot of iron work, this can be a task that is very easy to get wrong. The equipment is more widely available today for rental, and a wealth of DIY guides can now be found online for pretty much any DIY task. Tasks that pose no real threat to you or those around you can often be suitable for DIY. Welding is very different. It takes years of training and experience to develop precise welding skills. Without them, you are just as likely to cause yourself great harm, or inflict irreparable damage to your property. Many electrical gate openers will feature a battery housed in metal box. The battery contains chemicals that can be disrupted by changing temperatures. It is quite common for some designs to require the application of insulation measures to help maintain stable function. Styrofoam insulation is an example. Tampering with any electrical equipment is incredibly dangerous for those with little or no training. Some batteries are made with lead acid, which emits hydrogen gas during its charging process. If these components are not fitted and ventilated sufficiently, the consequences can be considerably hazardous. One of the worst and most common mistakes made by property owners is thinking that gate opener installation is easy. Every opener system has specific capabilities, and must be paired with gate designs that are appropriate. 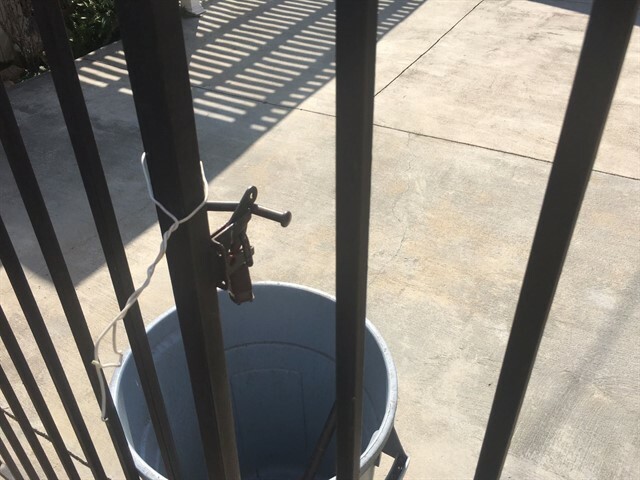 Attaching an opener to a design that is too heavy for its power capabilities for example, can lead to a need for serious gate repairs in future or potentially a disastrous accident. Conducting simple maintenance and basic troubleshooting checks poses little risk to you or your property. But you will almost always be better off letting trained professionals handle highly demanding repairs and installations. Call Garage Door Repair East Pachogue when you have problems with your gate and we'll get it up and running by the end of the day!